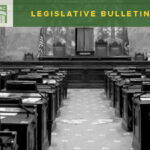 HomeLegislative Bulletin Budget It’s Negotiation Time! We are now at that point in session when all of the budget proposals have been released and passed by their respective chambers. Now is the time for the real negotiation to begin. As with any bill, when the two houses cannot agree on what the bill should say, the bill will go to a conference committee. Members from each house meet to discuss the differences. If they agree on what is to be done, the conference committee makes a report. Once the bill comes out of the conference committee, there are no amendments allowed. It is simply an up or down vote on adopting the committee report, which both houses must do for the bill to pass the Legislature. If one house does not adopt the conference committee report (whether by vote or inaction), the bill dies. In the case of the budgets, budget negotiators are assigned for each bill. For the operating budget, the chair and ranking member of the Appropriations Committee along with the chair and ranking member of the Senate Ways and Means Committee will take the lead. For the capital budget, the chair and ranking member of the House Capital Budget Committee and designated members of the Senate Ways & Means Committee are the primary negotiators. 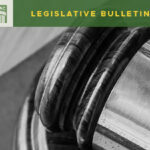 And, finally for the transportation budget – you guessed it – the chairs and ranking members of the House and Senate Transportation Committees are responsible to finalize a product. 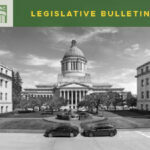 Legislative leadership and the governor’s office will also remain closely involved, but the rest of us will remain largely in the dark until the agreements are made. We will continue to make our case to the legislators, but we won’t be able to judge our success until the very end. 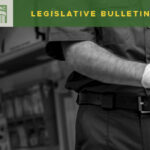 A comparison of the three budgets as passed in the last biennium and the proposals from the governor, House, and Senate can be found here.